LED drivers (also known as LED power supplies) are similar to ballasts for fluorescent lamps or transformers for low-voltage bulbs: they provide LEDs with the correct power supply to function and perform at their best. If you read our previous article on whether or not your LED requires a driver, you’ll already know that all LEDs require a driver and that the question you should really be asking is whether or not your LED requires an external driver. You’ll also know that there are two main kinds of external LED drivers, constant-current and constant-voltage, and that the driver you need depends on whether or not your LED light source already includes a constant-current driver within the light (if so, you would need a constant-voltage driver; if not, you need a separate constant-current driver). Now that you’re certain your LED light requires an external driver as well as what type, it's time to narrow down to the specs you need to consider when making a purchasing decision. Here are five factors that will help you make the right selection. First, consider the voltage requirements of your light. 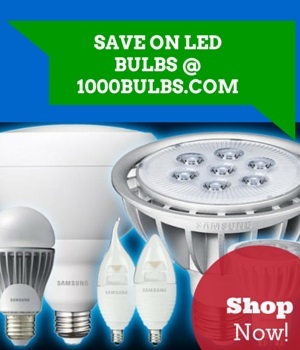 If your LED requires 12 volts to operate, use a 12-volt driver; if it uses 24 volts, use a 24-volt driver, etc. When choosing a driver for a constant-current LED, you must also consider the LED’s current output, which is measured in amps or milliamps. In short, make sure your driver will achieve power outputs within your light’s specified ranges: consider both voltage and current range for a constant-current driver, and simply voltage range for a constant-voltage driver. Next, consider the voltage supply of the location you’ll be using your light. Your driver must accept the input voltage of the place you’re using your light so it can properly step it down to the right output voltage. Conventional homes supply a standard of 120 volts, and most commercial or industrial enterprises supply 277 volts, though it’s best to check with an electrician if you’re not sure. Most drivers accept a wide range of input voltages. Again, when choosing a driver for a constant-current LED, you must consider the LED’s current input as well. Lastly, consider the wattage requirements of your light. Choose a driver with a max wattage higher than the wattage of your light. Do not pair a driver with a light that exceeds the driver’s maximum wattage or with a light that uses less than 50% of the driver’s maximum wattage. Both constant-current and constant-voltage LEDs and drivers can be made with a dimming capability, though both must specify that they are dimmable in the product datasheet for that assertion to be made. If the specs don’t mention dimming at all, it is safe to assume that the product is not dimmable, and the same goes for household LEDs with internal drivers. Dimmable external drivers often require an external dimmer or other dimming control devices specified on the product datasheet to work. IP ratings tell users the environmental protection that a driver’s enclosure provides. The first number specifies protection against solid objects, and the second number specifies protection against water elements. For example, according to the chart below, a driver with an IP67 rating is protected against dust and temporary immersion in water. UL Class 2 drivers comply with standard UL1310, meaning output is considered safe to contact and no major safety protection is required at the LED / luminaire level. There is no risk of fire or electric shock. These drivers operate using less than 60 volts (dry) and 30 volts (wet), less than 5 amps, and less than 100 watts. Although safer, these limitations pose restrictions on the number of LEDs a Class 2 driver can operate. UL Class 1 drivers have output ranges outside UL Class 2 designations. UL Class 1 drivers have a high-voltage output and safety protection is required within the fixture. Although there are less safety precautions, a Class 1 driver can accommodate more LEDs, making it more efficient than a Class 2 driver. Another key characteristic to choosing LED drivers is efficiency. Efficiency, expressed as a percentage, tells you how much of the input power the driver can actually use to power the LED. Typical efficiencies are between 80-85%, but UL Class 1 drivers that can operate more LEDs are usually more efficient. The last major characteristic to consider is your driver’s power factor. Power factor tells you how much of a real power load the driver puts on the electrical network. The range for power factor is between -1 and 1. The closer to 1 the power factor is, the more efficient the driver is. A conventional standard for power factor is 0.9 or above. If power factor isn’t mentioned in a driver specification, it implies that the device has a low power factor, below 0.9. Still have questions about choosing a driver? Let us know in comment or drop us a line on Facebook, Twitter, Google Plus, LinkedIn, or Pinterest!